Don’t waste his time asking for recipes. If there’s one thing Amazon’s Alexa, the voice-activated service in it’s Echo smart home speakers and other devices, is supposed to do, it’s to be helpful. But in the online retailer's new Super Bowl ad, the brand imagines a world where Alexa becomes a little less useful. The concept is that the digital assistant has lost her voice, so the Amazon team rallies a whole slew of celebrities to fill in for her until she's shipshape again (we'll assume she has some kind of virus). 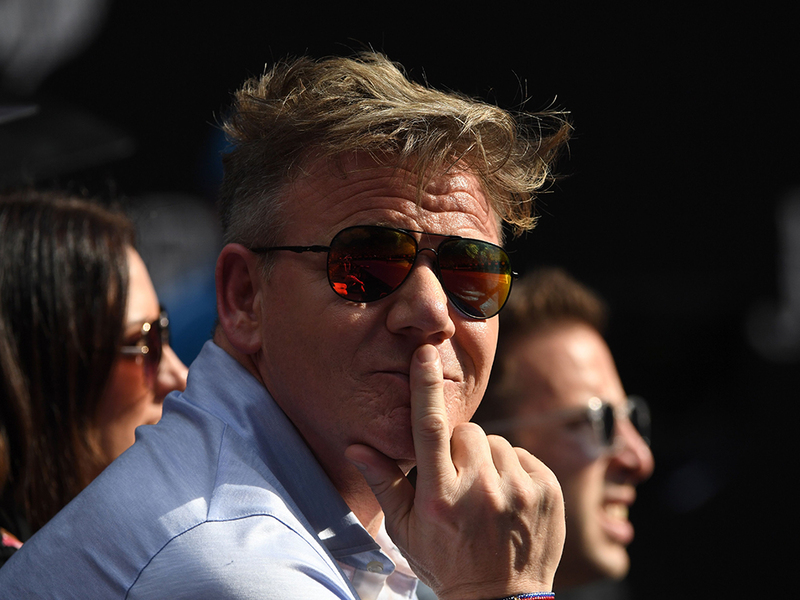 That list of notable names includes some of today's heaviest hitters in entertainment and, yes, the foul-mouthed, short-tempered TV chef himself: Gordon Ramsay. A poor, unsuspecting user asks his Echo Show to display a recipe for a grilled cheese sandwich (hey, we've all been there). Instead of Alexa's soothing voice, the hungry fellow is verbally slapped in the face by Ramsay who questions why you'd even need a recipe for a dish that explains exactly how to make itself in its own name. Fair point Ramsay, but you don't have to swear at the guy! Another user asks the distance to Mars and gets a reply from rapper Cardi B who's flabbergasted that anyone would even want to go to Mars because "there's not even oxygen there!" Then a party host asks Alexa to set the mood for his soiree and gets more than he bargained for when actress and comedian Rebel Wilson replies with a steamy, party-line style description while soaking in a bubble bath. Cardi B makes another appearance when a man asks Alexa to play country music, but the device instead plays "Bodak Yellow," which apparently the musician is performing live just for him (hey, appreciate the on-demand performance!). And finally, a woman looking to reach Brandon is told in the creepiest way possible that he's unavailable thanks to the spine-tingling voice of Sir Anthony Hopkins who is, naturally, feeding his peacocks from a lawn chair. The ad also features a cameo from Amazon founder and CEO Jeff Bezos who sets the whole replacement protocol into motion. You can check out our coverage of all of the pre-released Super Bowl ads we could gather here. And whether you're hosting a viewing party for the game itself, or just the commercials, we've got trophy-worthy snacks and party dishes to make you the MVP of your gameday get together. How Gordon Ramsay Uses Cling Wrap to... Avoid Speeding Tickets?